A review copy was not provided by Nintendo. Before I start this review off I would like to start with a little back story. When I was about eight years old my parents bought me a Nintendo GameCube. I loved that thing to death. It was my first video game console. In about fourth grade I made a really cool friend who also had a GameCube and loved it too. He let me borrow two games from him. Mario Party 4 and Animal Crossing. Mario Party 4 was so much fun when I had friends over, the mini games were all creative and the cut throat competitiveness of stealing stars from each other brought out all of our dark sides. 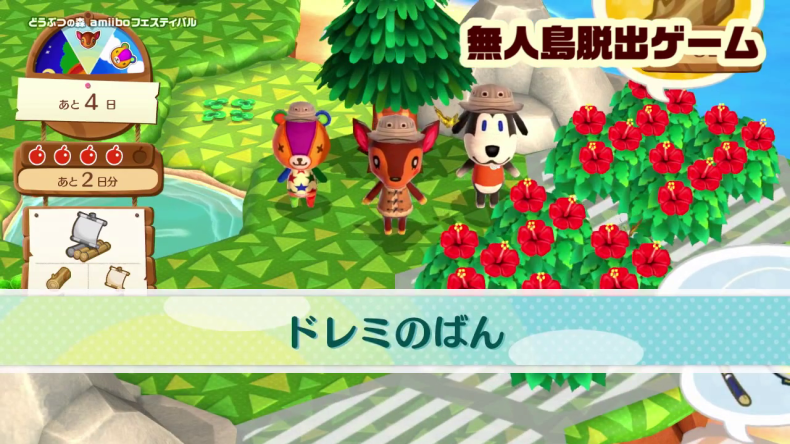 On the other side there was Animal Crossing, a whimsical game that allowed me to live a life I never thought I would. I played Animal Crossing religiously for almost two years straight. At the time I was going through a lot of stuff with my family, so this game was seen an escape from reality. It allowed me to live a second life. From there I grew to love the series as a staple in my gaming career. My parents bought me a DS with Animal Crossing Wild World and I played that game everywhere I went. 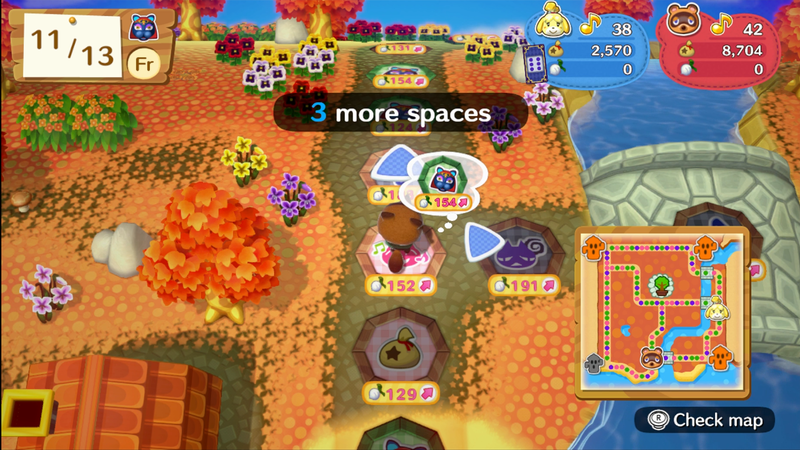 When City Folk came out I thought the game was a bit stale but the series charm was still there, and when New Leaf hit I thought it was finally a game to almost top the awesomeness that was the GameCube version. 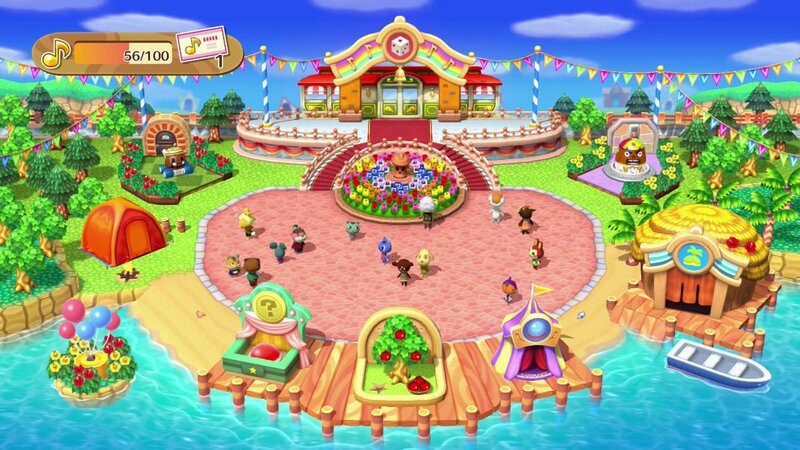 I grew up with Animal Crossing, the series made me appreciate slower paced games as a way to unwind and relax. So why am I telling you all this first? I just want you to know where I am coming from as I write this review. The Animal Crossing series has been a part of my life since I started gaming as a child. So, with that out of the way let’s get into the actual review. 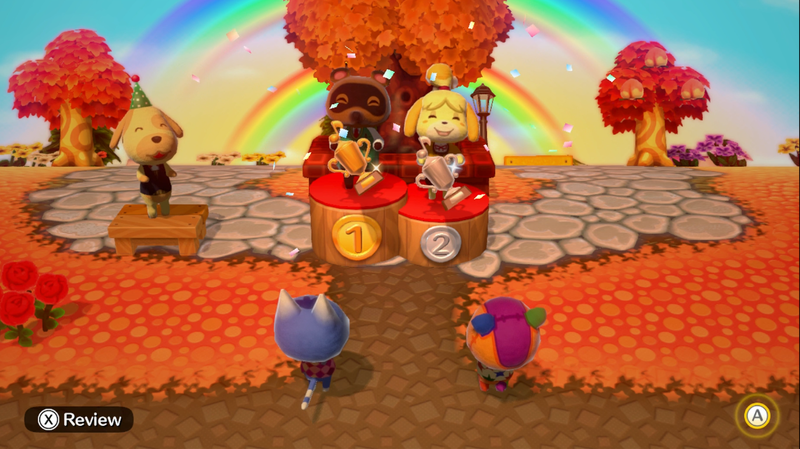 With the recent hit of Animal Crossing New Leaf in Japan and around the world, Nintendo wanted to try and ride the success as much as they could by announcing two brand new spin off games. 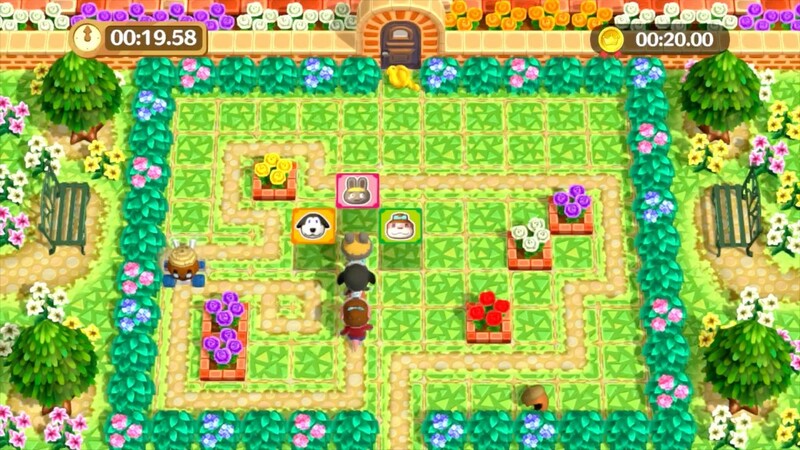 Animal Crossing: Happy Home Designer, a game that focuses only on the customization aspects of Animal Crossing, and Animal Crossing: Amiibo Festival, a party game made by the current Mario Party and Wii Party developers. On paper you would think the happy go lucky life sim game would actually fit well in a board game environment, similar to that of a video game version of the Game of Life. 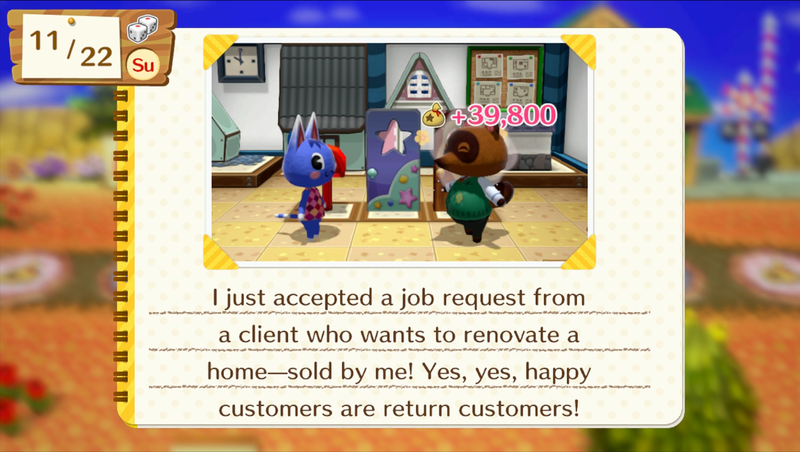 You would think this game would take a lot of the Animal Crossing staples established throughout the years and put it into a competent board game environment. And to be fair they kind of do, and at the same time they completely miss the mark. 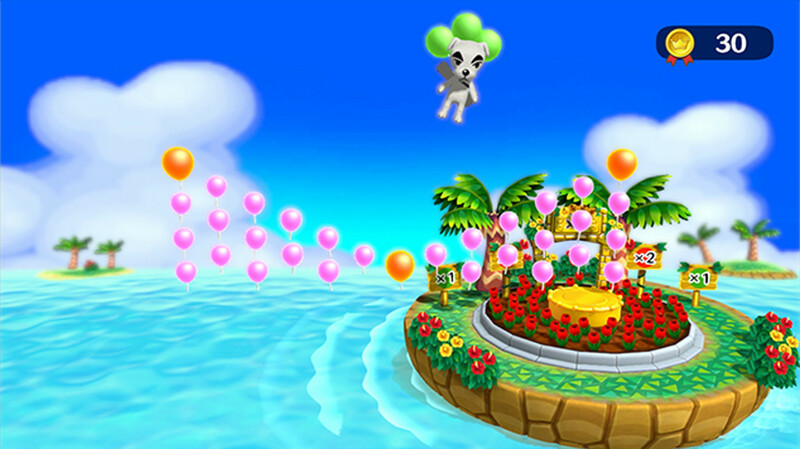 The object of the game is to have the most happiness points by the end of month, and to gain happiness points you have to land on different spaces that will either give or take happiness points, and or give or take your money.Each time you land on one of these spaces you get an interesting scenario that appears where you get to see what exactly caused your fortune or misfortune to happen. While reading these were a good chuckle, and different characters had different scenarios, I soon got repeats and reading some of the cards became more mundane than enjoyable. On top of that, the scenario you get is completely random, and the effect said scenario has on you is also completely random. One time I landed on the money space and I magically got 40,000 bells, and basically took the lead and the game half way in. No matter what happened after that my friend had no real way of catching up with me. And, unlike other party games, there were no ways to set traps and no ways to screw your friends over so you can have a chance to mount a comeback. The best you could really do is just hope that luck was on your side when you rolled the dice. This leads into the main problem this game: it is all luck based. What I love about the Mario Party series is that you needed the right mix of skill and luck to come out on top over your friends. And, to be honest, that’s not a bad thing. A little bit of RNG (Random Number Generator) mixed with skill and planning is never a bad thing. However, this game relies 99% on RNG, with the extent of the skill you will use is in how you want to go about the map, and how you invest in the stock market. There were many times that, out of the blue, the game would throw in “Opposite Day!” making your characters walk backwards, and making changing up how spaces are affected, and the inability to check what the stocks were. There were many times I was making a strategic plan to get to the nearest Gyroid to get my stamp card punched, only for opposite day to be invoked, sending me back several spaces, and sometimes having me land on a space I was trying my hardest to avoid. This aspect of the game makes every victory seem unrewarding because I come out of the game feeling like, did I really win? Or were the RNG gods in my favor this round? And every loss left me sitting there thinking wow, I had no chance to win after a certain point in that game. Now, this game also has a lot of things for you to unlock while playing. However, to unlock any of these things you need to use Happy Points. Happy Points are basically this game’s version of currency, and the only way to get this currency is to play through the board game mode. This was a major turnoff for me. I wanted a break from the board game after having to play through the same board two or three times. While the different month events mix up the game a little bit, it’s not enough to prevent it from getting mundane to play through. Once you have managed to get enough happiness points to unlock some of the mini games, you are only met with more disappointment. The only memorable mini game was the island one where it is the closest thing this game has to a different game mode. 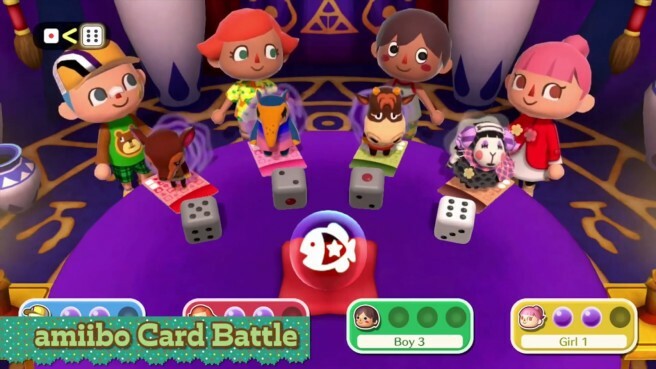 The fortune telling mini game tried too hard to be a game that makes use of the Amiibo cards, couple this with unclear instructions and you have even more missed opportunities. The other mini games ranging from a weird version of centipede and The Price is Right, just seem unmemorable. This made the time it takes to unlock these games seem pointless. The only real purpose they have is to grind happy points, and, honestly, you are better off trudging through the board game aspect of the game than this. I should probably mention that even though this game is called Amiibo Festival, amiibos are not really used all too well. The extent of their use is utilizing them to allow your character to roll the dice, and to store happiness points to unlock customizations for your character. Now, in practice this could be good if you were to take this to friends house and you can continue to grind for points with your amiibo, but outside of using it to start the game (yes you have to tap the amiibo to get past the start screen, so good luck buying this game pre-owned without an amiibo.) they have no real purpose. 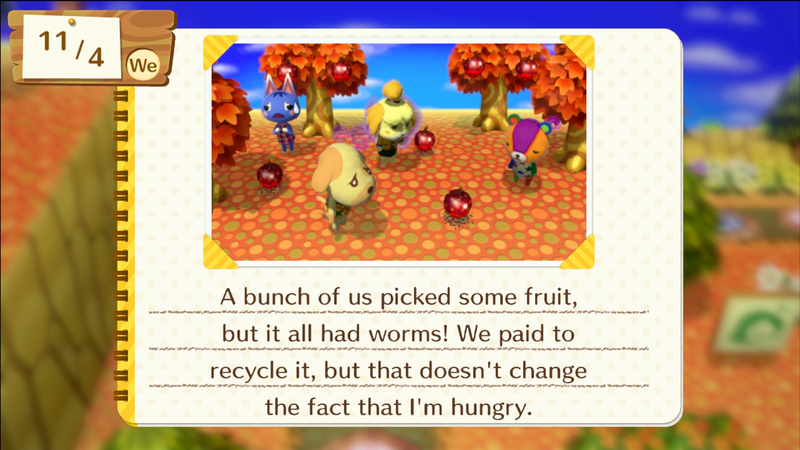 At least the Amiibo cards allow you to scan in animals to come move into your town map, and are used in some of the mini games, but they still feel just as forced as the amiibo themselves. The last problem I have with this game is the lack of online multiplayer. I was lucky to have a friend who was willing to stay up till about two in the morning to play this game with me. And, to be honest, the first time we played through we had some fun, we found the game quirky, but when we started playing a second time we slowly began to realize a lot of the flaws this game has that we mentioned in this review. Now that he has left I am by myself forcing myself to play this game with computers. It’s just dreadfully boring. I think I would have had more fun watching paint dry. I actually would rather have watched Bob Ross paint for several hours than continue to play this game any longer. With friends this game can be enjoyable in a “so bad it’s good” kind of sense, but when playing by yourself? Good night, this game is torture. 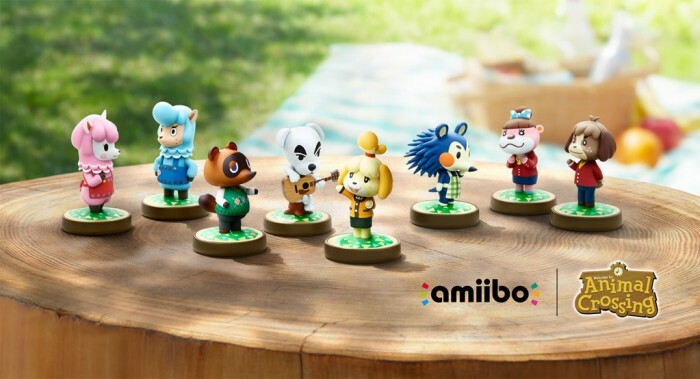 Overall Animal Crossing Amiibo Festival is just a very cheap way for Nintendo sell amiibos. 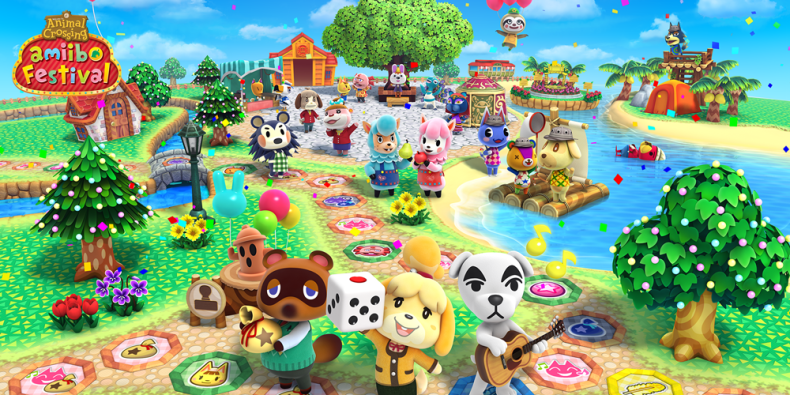 The game strays away from everything that makes an Animal Crossing game Animal Crossing, and it fails as an interesting party game. Nintendo, I am saying this with love: this game was bad. 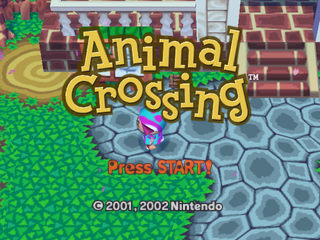 You drove the Animal Crossing name through the mud with this game. I can understand why you would make spin offs, but this just seems so lazily done with no effort put into it. 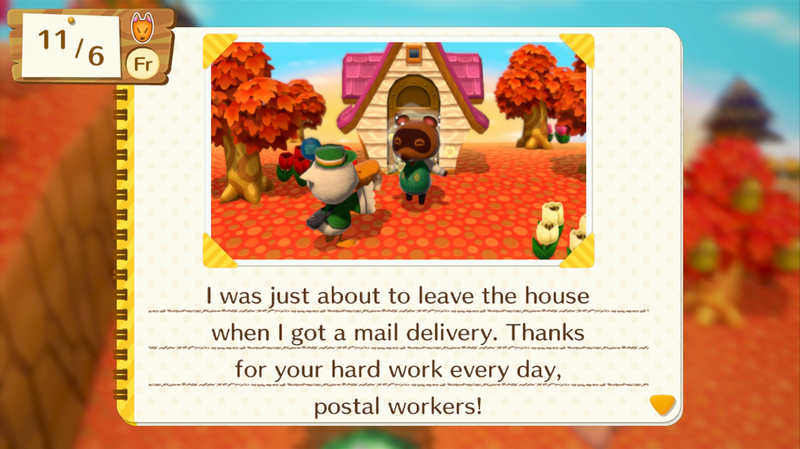 As a person who grew up with Animal Crossing, this game was nothing but heartbreak seeing what one of my most favorite video game franchises of all time has become. Posted on November 14, 2015, in Reviews and tagged Animal Crossing Amiibo Festival, Nintendo, Review, Wii U. Bookmark the permalink. 10 Comments. Why am I not surprised at your impressions of the game? Looks no different than Candy Land, a game based on 100% luck. That’s why 2 year olds play it. Best part about the game is probably your review. 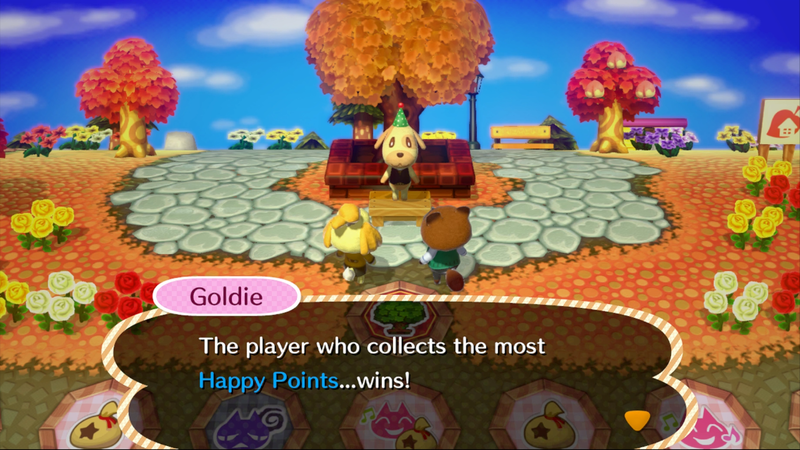 …that you can actually earn Happy Tickets by playing the mini-games, too. “The only real purpose they have[mini games] is to grind happy points, and, honestly, you are better off trudging through the board game aspect of the game than this.” I should probably have made that more clear, thanks for the heads up! extra income at clothing stores, home-improvement stores and furnishings stores.